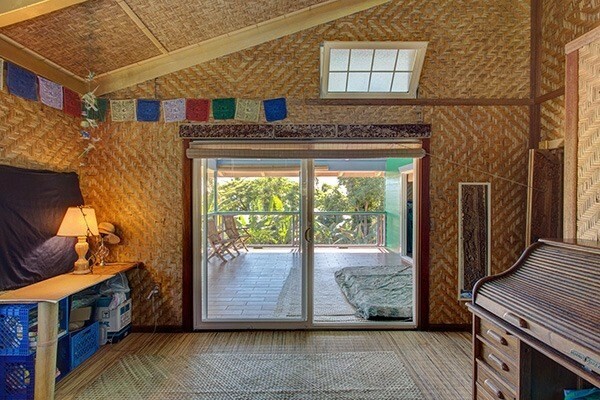 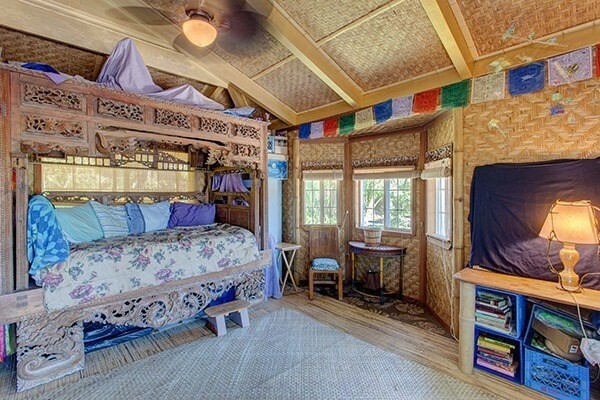 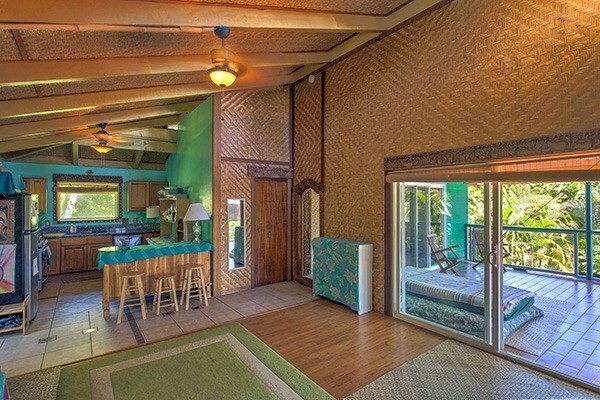 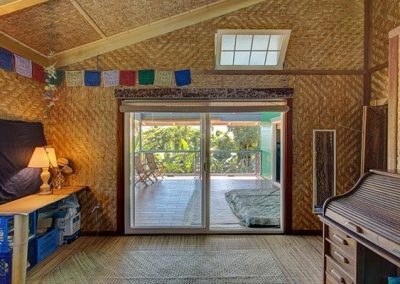 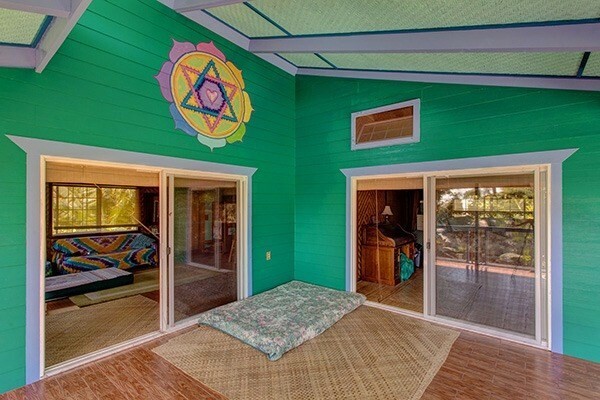 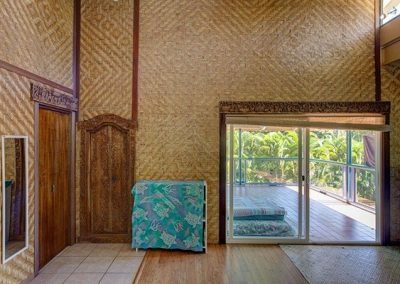 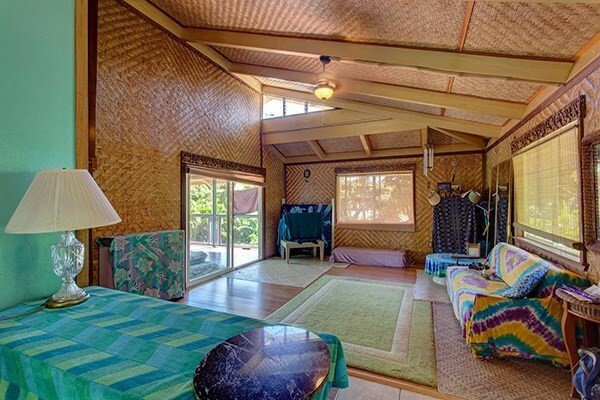 Enjoy a feeling of privacy and peacefulness while listening to the wonderful sounds of the ocean from this beautiful and unique Bali Style custom 1,280 square feet home located in the much desired coastal community of Kehena Beach. 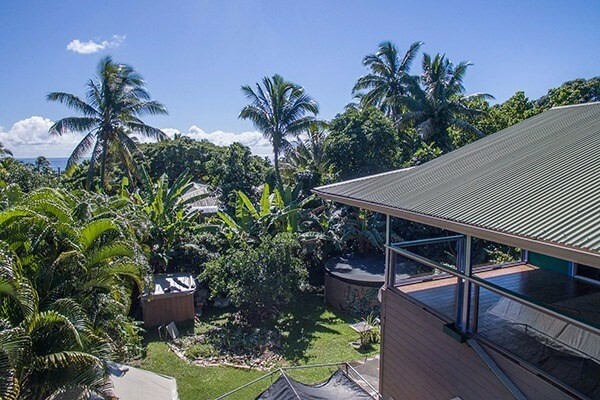 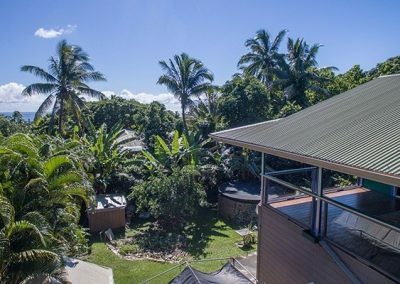 The home is nestled into an amazing 9,000 square feet tropical property on a quiet street with vacant lots to each side. 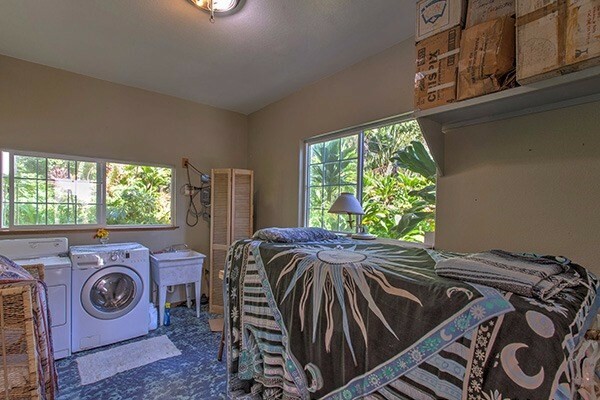 Just a short walk away is ocean access. 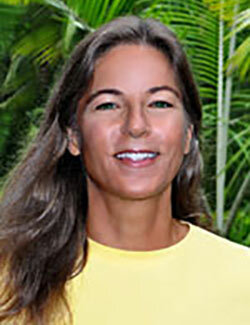 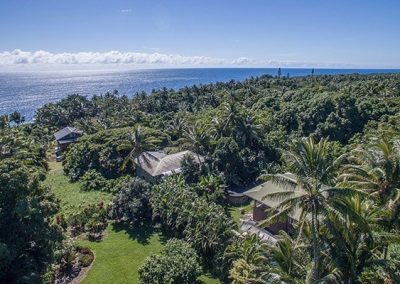 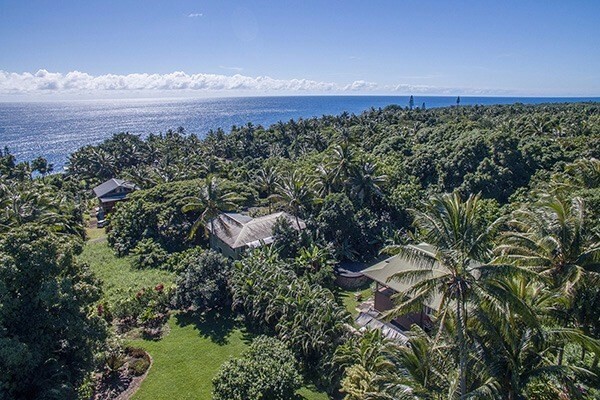 The home was built in true Hawaiian style to take advantage of the trade wind breezes and morning light. 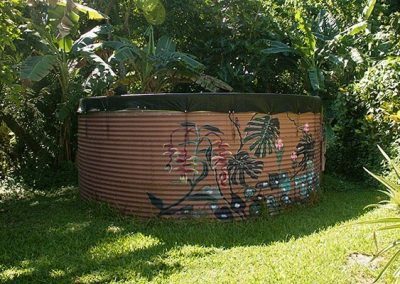 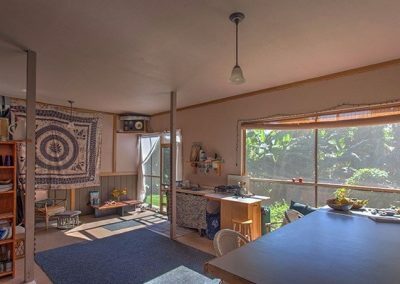 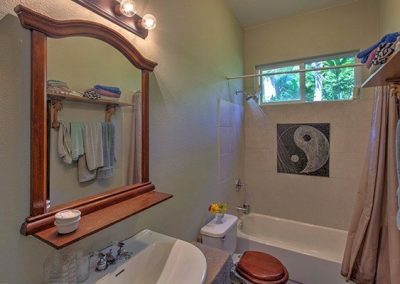 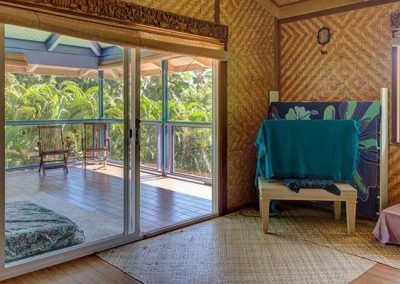 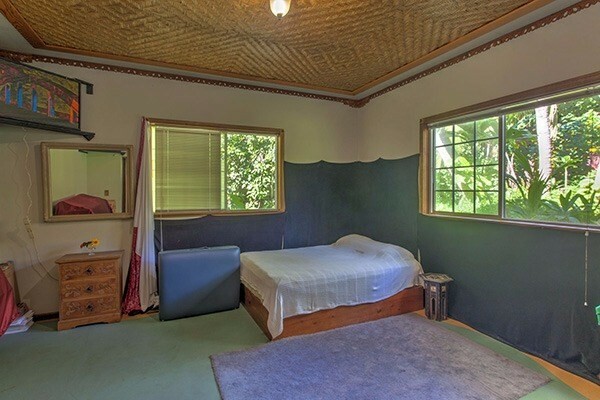 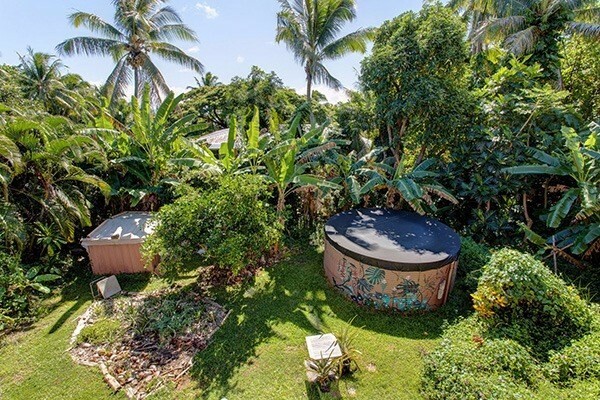 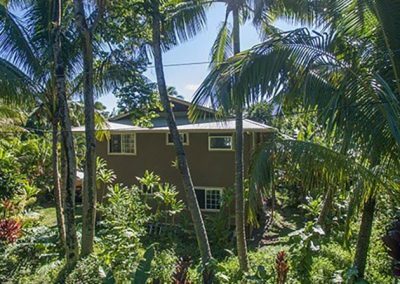 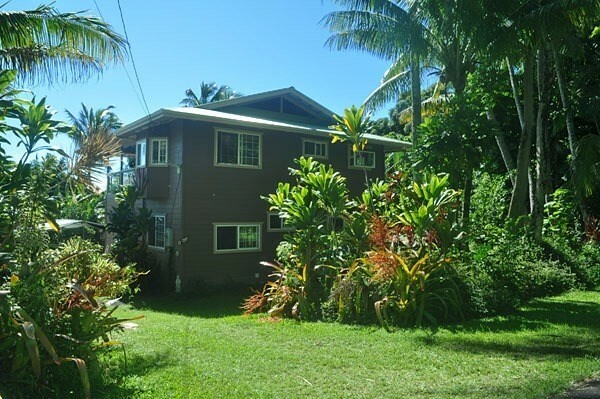 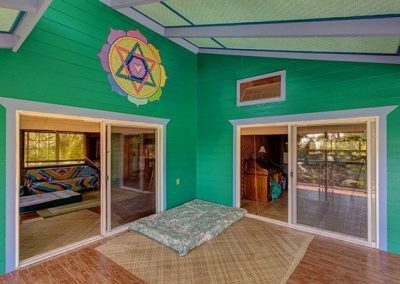 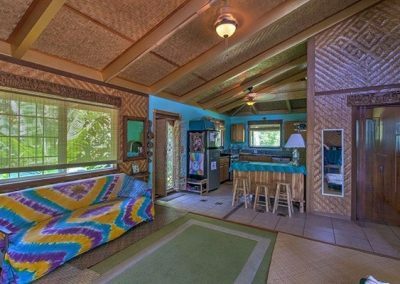 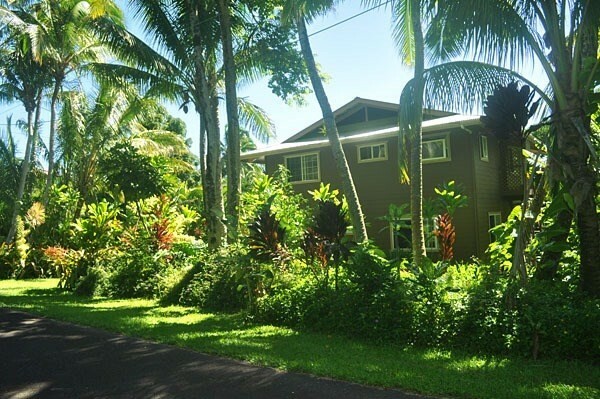 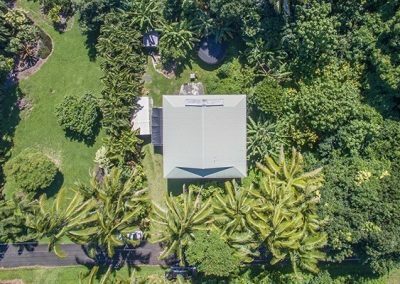 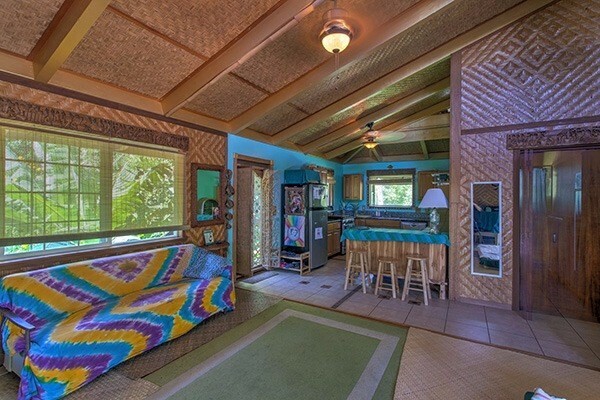 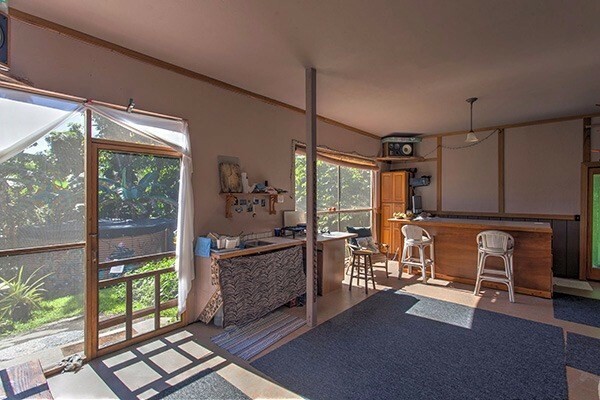 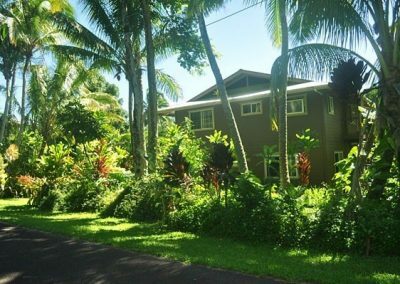 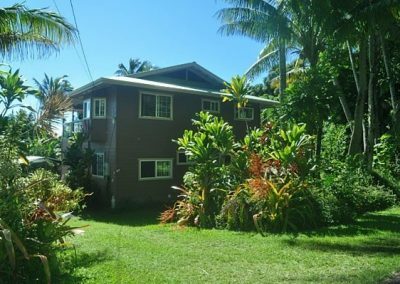 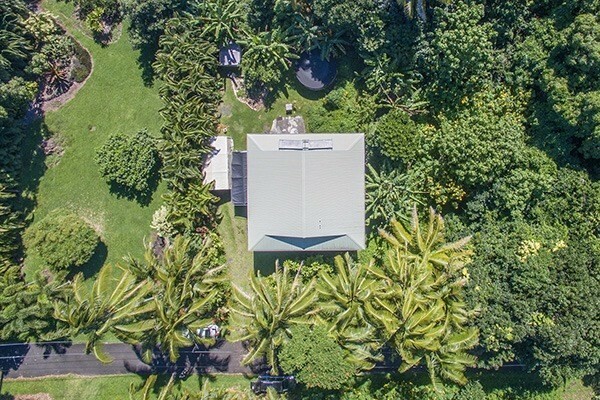 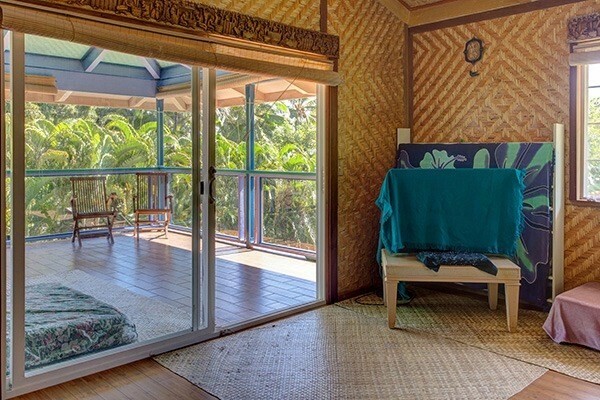 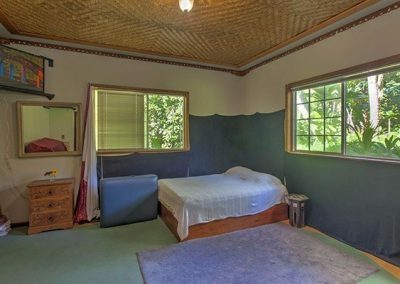 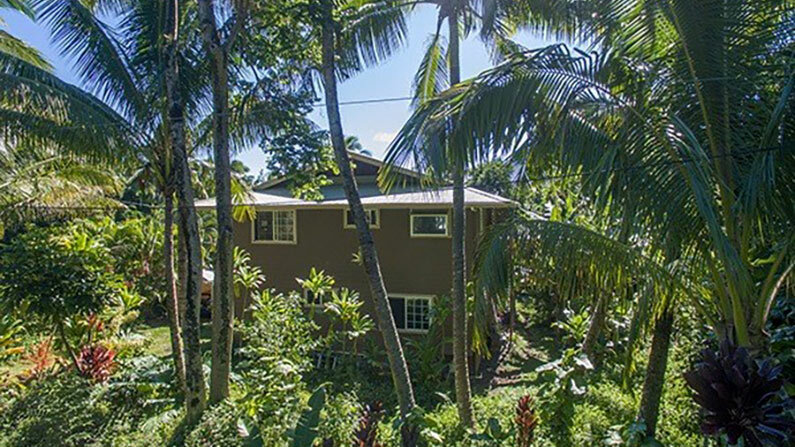 It has custom Bali themed details throughout, large windows, solar hot water and a wonderful covered upper lanai to enjoy the great East Hawaii weather from. 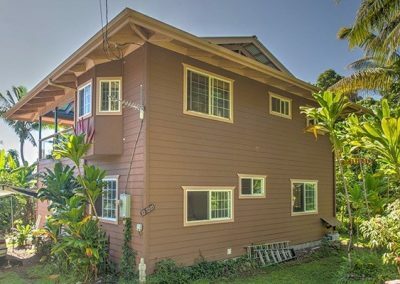 The main home is located on the second level. 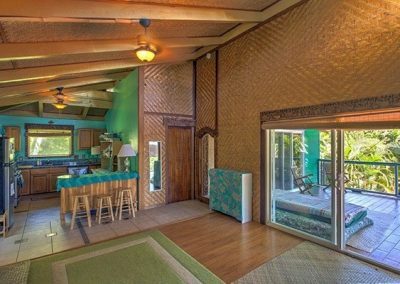 As you walk through the hand carved wooden doors you enter the living area with its vaulted ceiling and easy access to the large lanai. 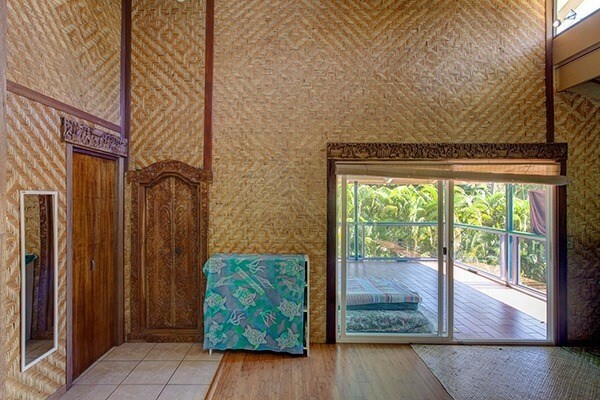 Built with an artist’s hand, details such as carved wooden doors and trim, quality bamboo flooring and bamboo matted walls make this a unique and beautiful space. 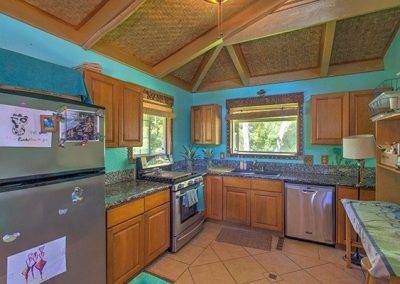 The kitchen, with its granite counter tops and stainless steel appliances, has lots of space and adjoins the living area make this home great for entertaining. The bedroom continues with the Bali theme, has vaulted ceiling and a large East facing sliding glass door out to the lanai. 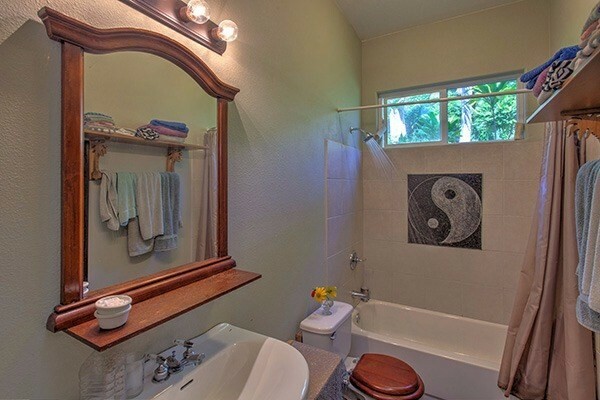 The full size bathroom on this floor has marble tiles and a jacuzzi tub. A great feature of this home is the second-floor lanai. It is large enough for chairs, a table and even a daybed along with your BBQ. 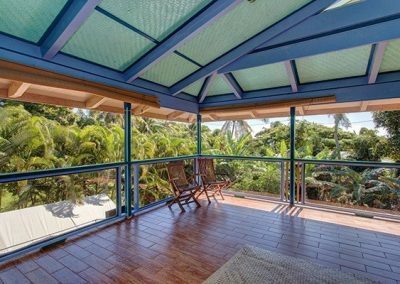 The lanai faces the back yard and has a peek-a-boo ocean view on clear days. 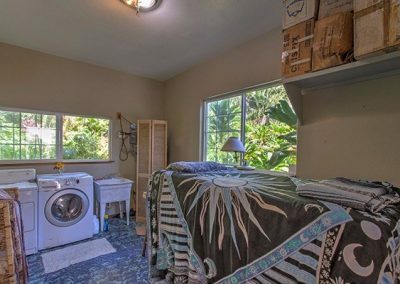 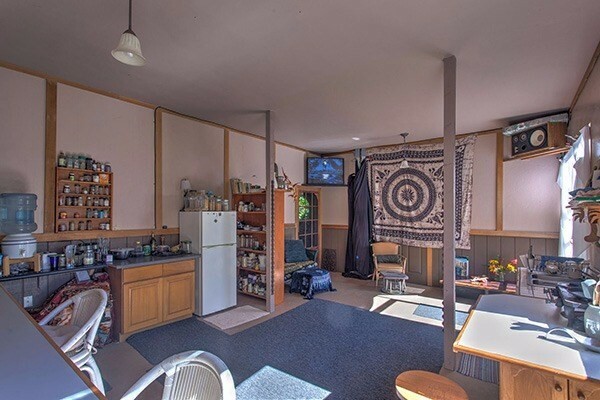 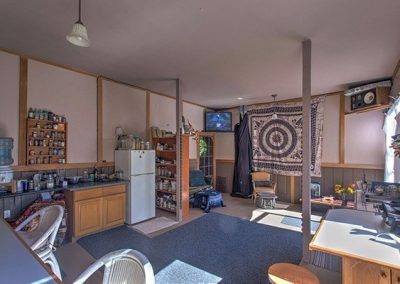 The lower level of the home has a large single bedroom, full sized bathroom and indoor laundry room along with a 768 sqft screened-in lanai currently being used as a living and kitchen area. 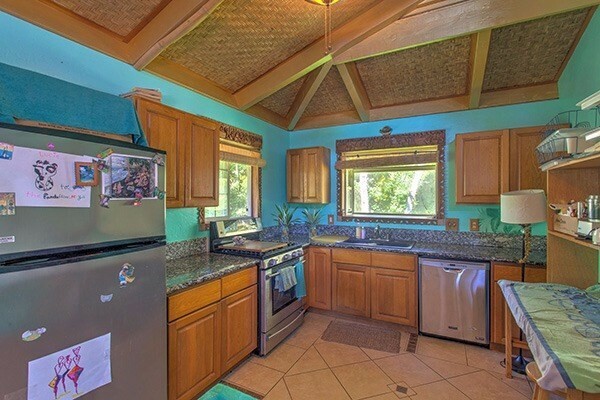 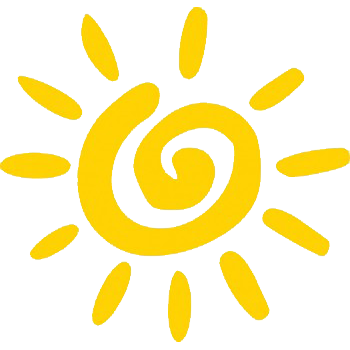 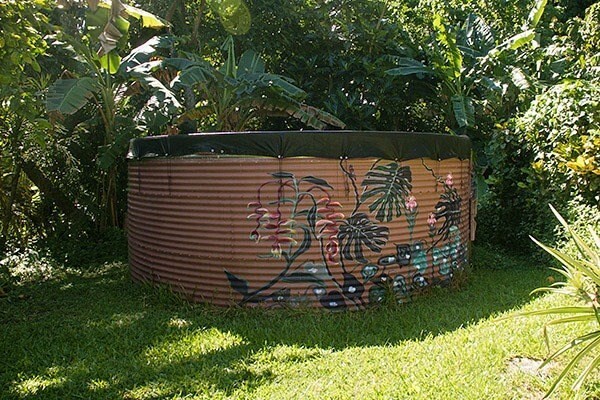 The property has been landscaped with exotic flowers, tropical fruits, citrus trees, palms, colorful plants and more! A quality home in a great neighborhood at a great price.